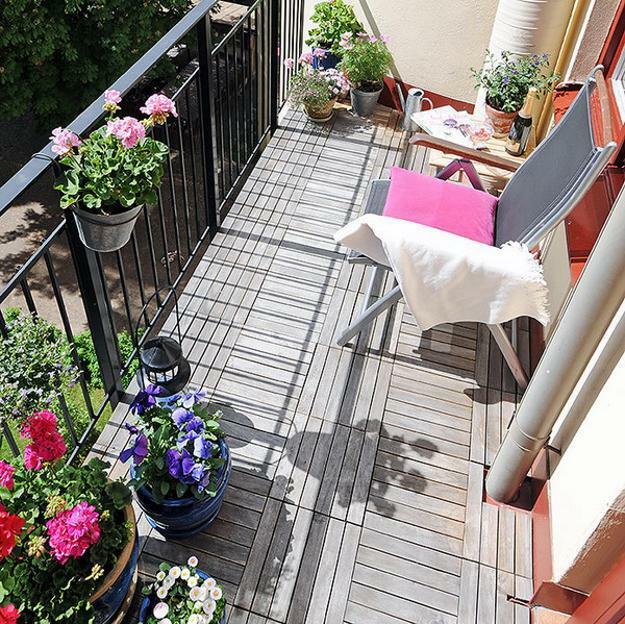 Small outdoor living spaces can look very cozy and inviting with natural and cheap decorations – summer flowers and green plants. 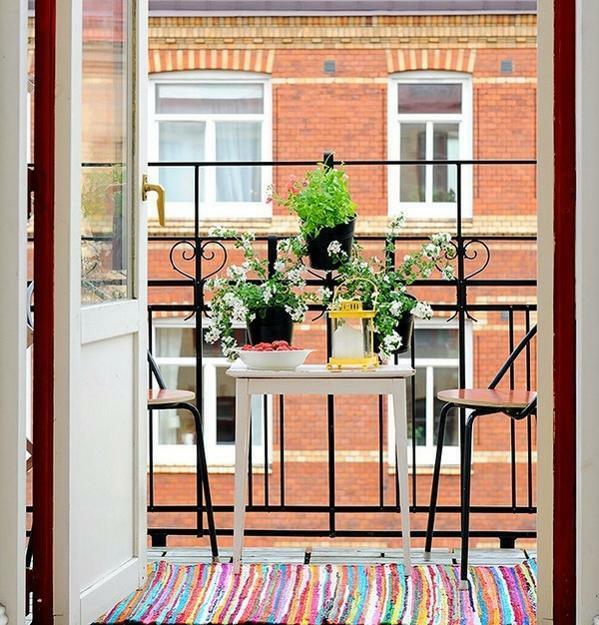 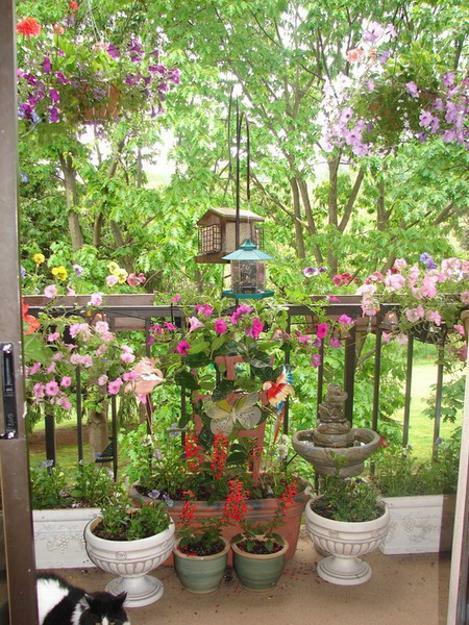 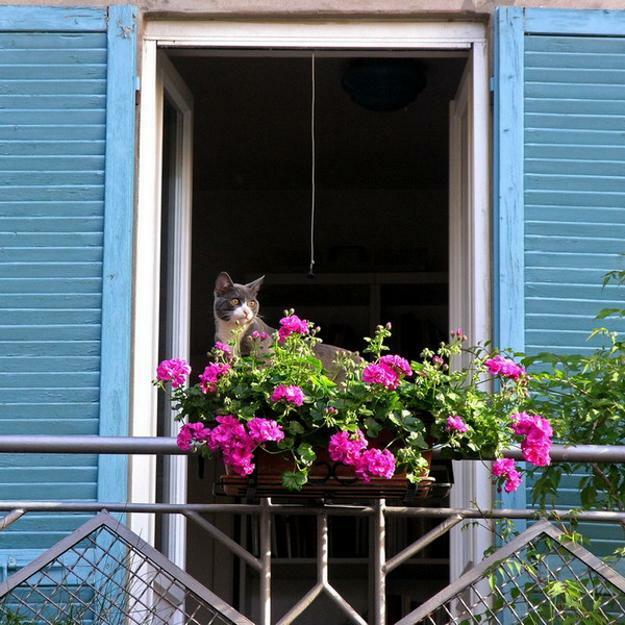 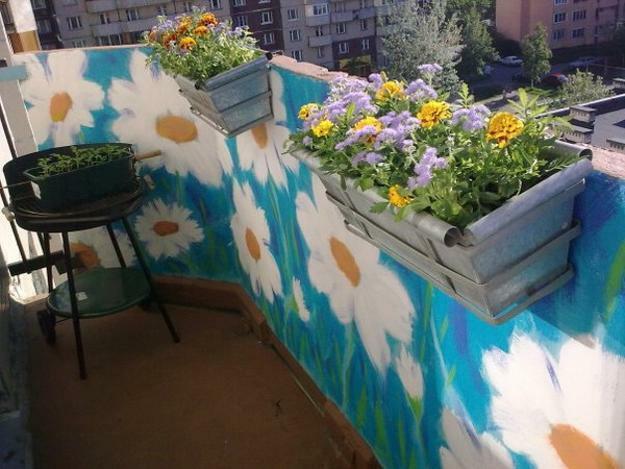 Small balconies, patios, porches and wooden decks, decorated with summer flowers and plants feel charming and elegant. 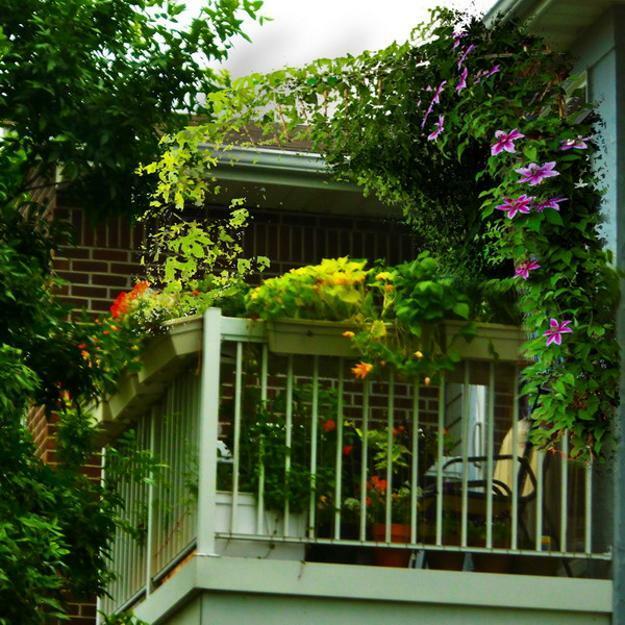 Blooming flowers and green plants are the best decorations for small outdoor living spaces, turning your home into a natural, peaceful and colorful retreat. 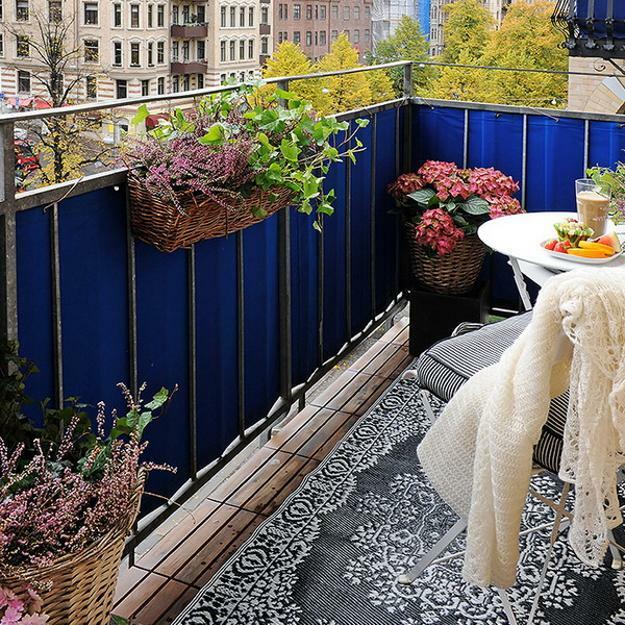 Space saving, foldable furniture and summer flowers create beautiful outdoor seating areas allowing to connect to the nature and enjoy the warm seasons. 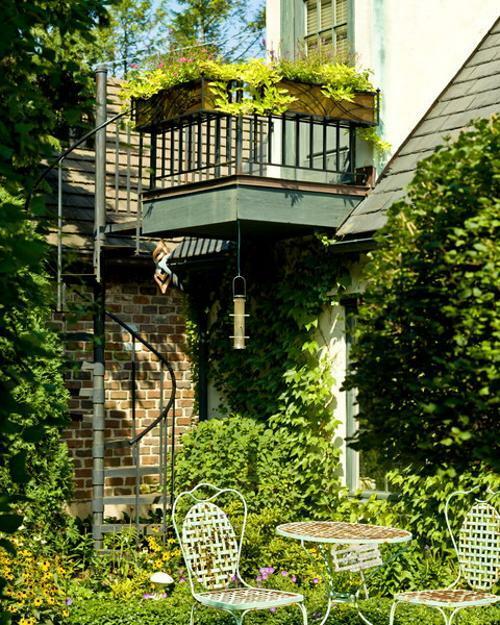 Creative planters, hanging baskets, vertical garden designs and railing planter boxes are strong trends in outdoor home decorating that offer great new ways to beautify small spaces and create gorgeous outdoor seating areas with summer flowers and plants. 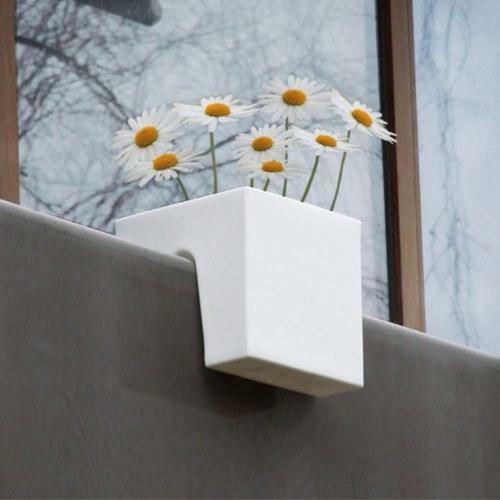 There are many different planters that are specially designed to be mounted or hung on balcony or porch railings, outdoor walls and garden fences. 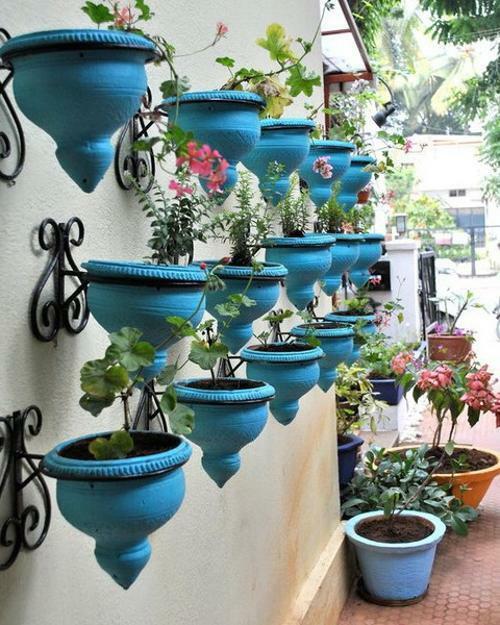 Creative handmade or commercial hanging planters and railing planter boxes are wonderful home decorating ideas for small balconies, patios, porches, wooden decks, exterior walls and garden fences. 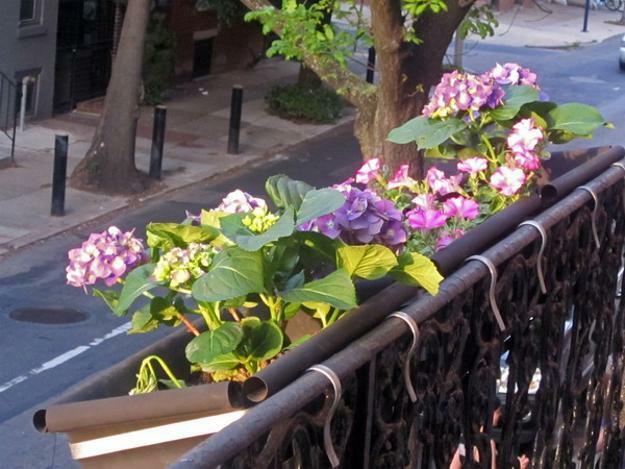 Here are some ways to use them for decorating your outdoor living spaces. 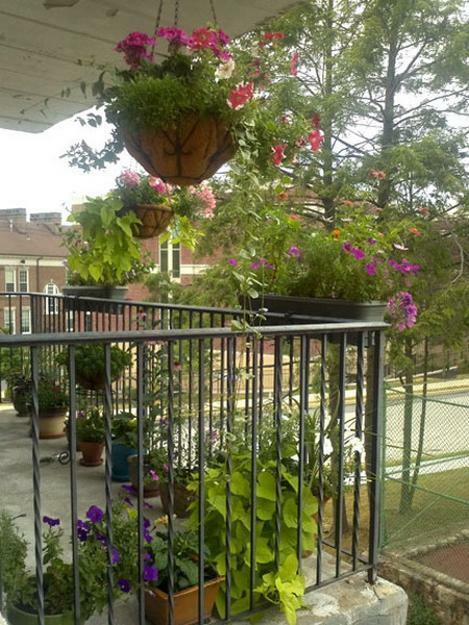 Railing planter boxes and hanging containers are a great space saving solution. 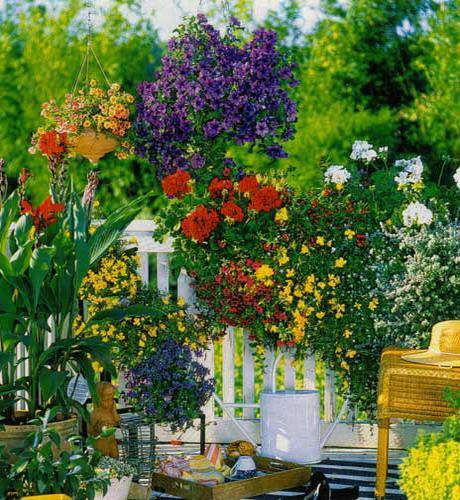 Summer flowers placed in an outdoor planter that is mounted on top of your railings can save a lot of space for outdoor furniture and allow to create cozy and attractive outdoor seating areas. 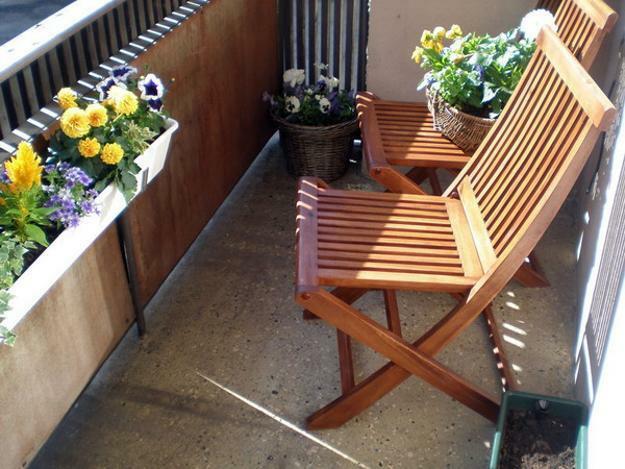 A small set of outdoor table and chairs makes your small space more welcoming, functional and comfortable. 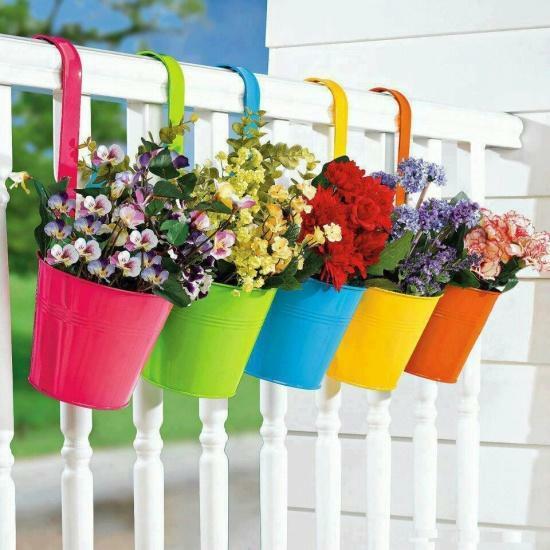 Beautiful flowers and plants in colorful or elegantly neutral-colored railing planter boxes and hanging containers look fabulous wonderfully accentuating your outdoor decor. 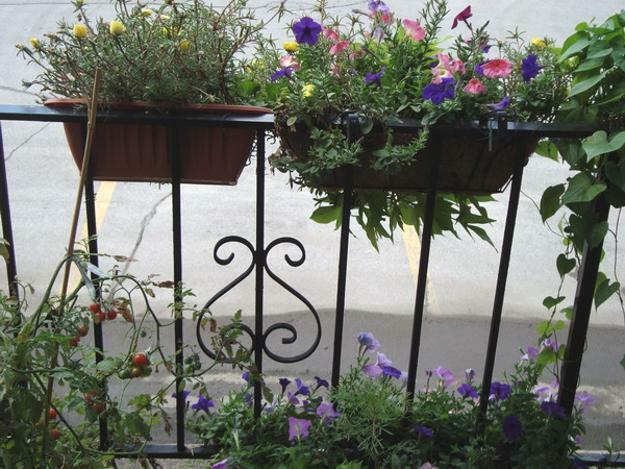 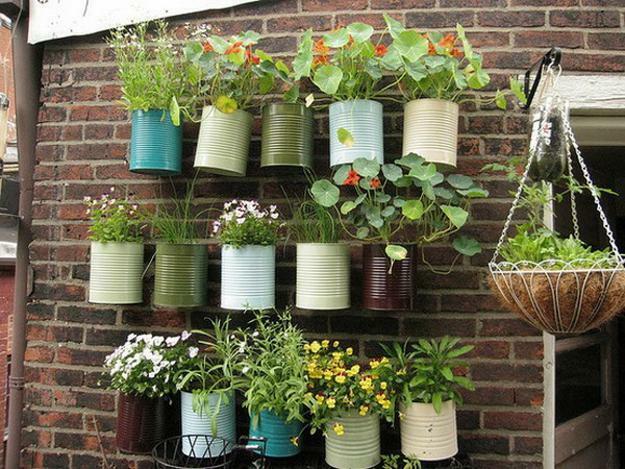 Railing planter boces and hanging containers or baskets are ideal for creating a mini garden. 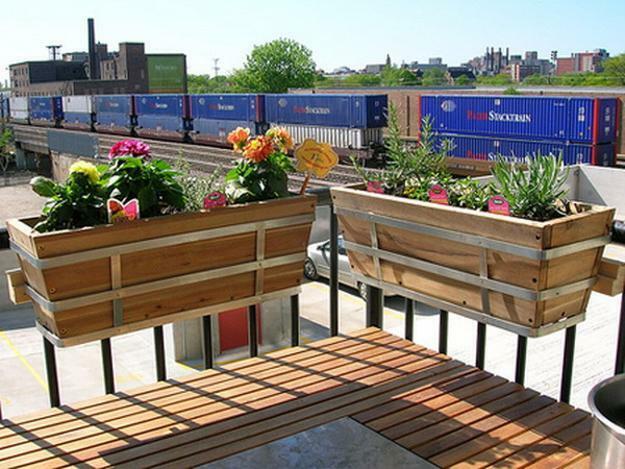 Small spaces surrounded with plants and flowers growing in a railing planter boxes or hanging containers offer a green oasis for rest and relaxation. 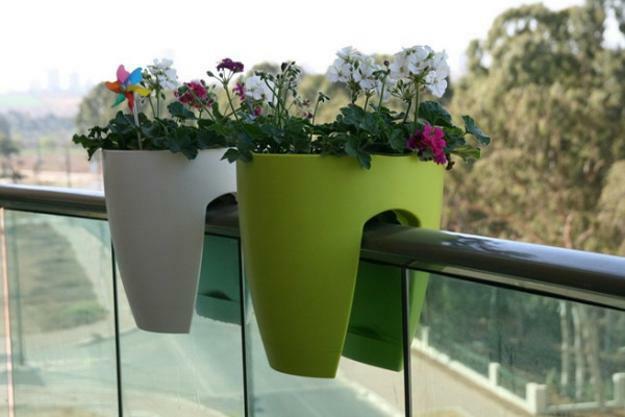 Space saving railing planter boxes and hanging containers are great for small backyard designs, apartment balconies, porches and wooden decks allowing to enjoy gardening even in small spaces. 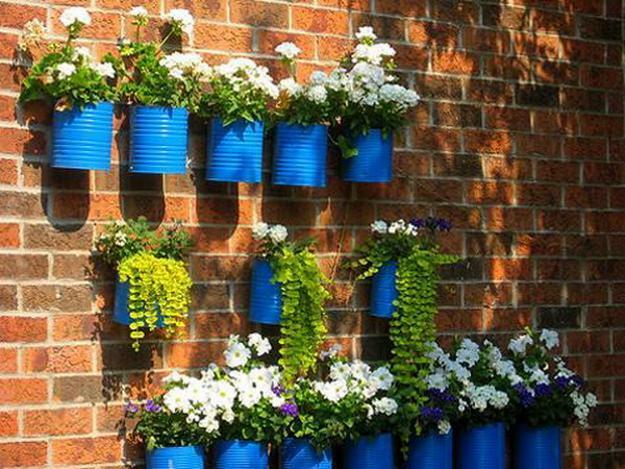 Low maintenance and affordable prices are other important advantages of simple and elegant contemporary hanging containers, classic hanging baskets or modern railing planter boxes. 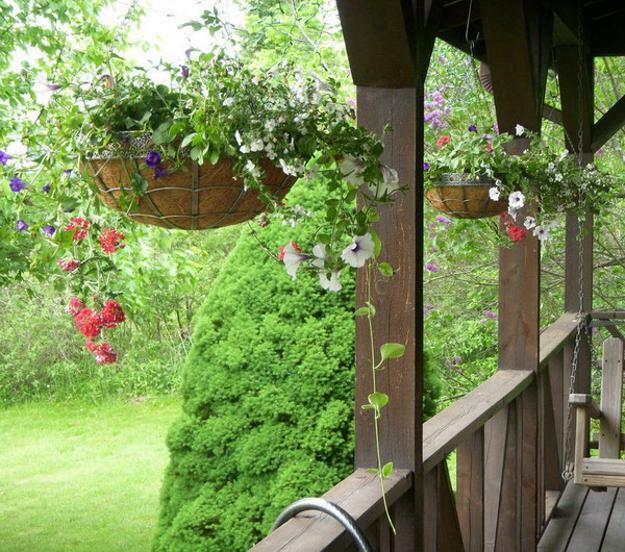 Hanging baskets, containers and railing planter boxes come in different sizes, shapes and materials. 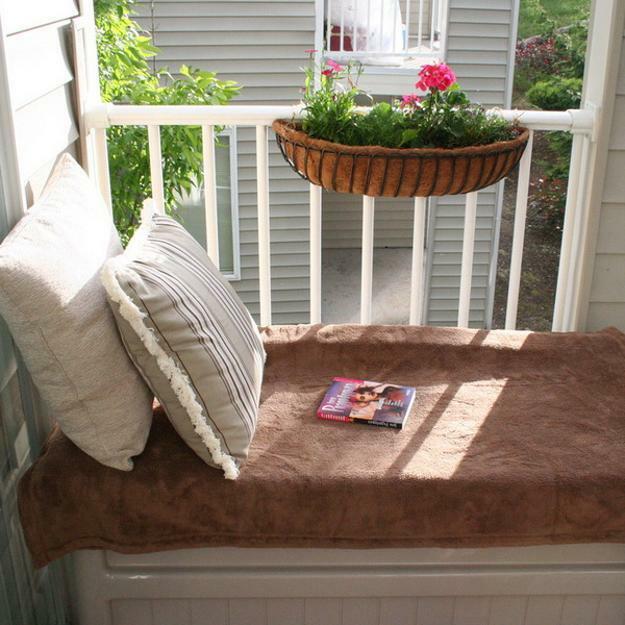 Various colors and designs allow to personalize outdoor seating areas and add modern touches to stylish appearance of small balconies, patios, porches, wooden decks and tiny backyard ideas making them more beautiful, appealing and comfortable.